250-KCMIL RHH-RHW Underground service entrance cable in black color, has outside diameter of 0.732-Inch. The copper cable has 0.095-Inch cross-linked polyethylene insulation that resists electrical leakage and offers protection against environmental threats. This cable has current rating of 290-Amps. It withstands temperature rating of 60/75/90 deg C. This 5000-ft cable comes in master reel. 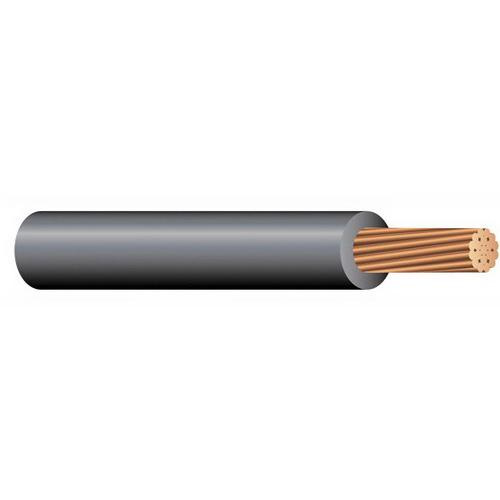 Cable is UL listed, RoHS/REACH compliant and meets ASTM - B3, B8, B787, Federal specification A-A-59544, National Electrical Code, NFPA 70 - 2011 Edition, NEMA WC 70 standards.